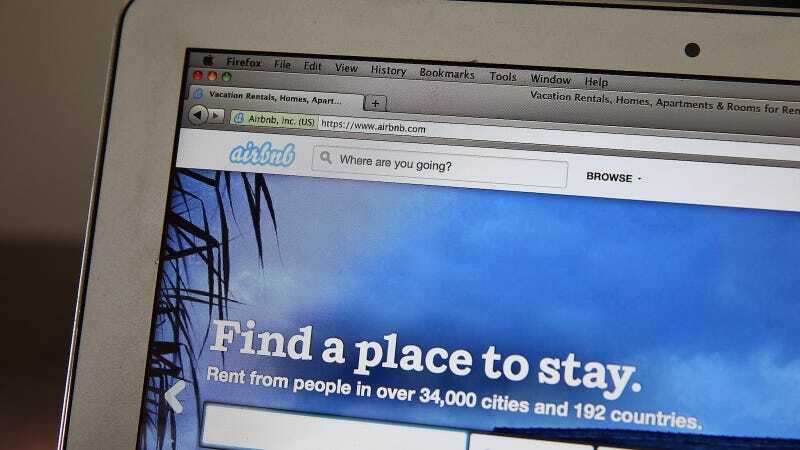 A California woman named Leslie Lapayowker is suing Airbnb over an alleged assault that took place while she was staying with a man named Carlos Del Olmo, who had been designated a “Superhost” by the site. SFGate reports that Lapayowker filed her suit against the tech company on Thursday, accusing them of negligence for failing to properly screen their hosts. Del Olmo had positive reviews and an overall high rating, which is why Lapayowker rented the studio adjacent to his house in Los Angeles for an entire month as she looked for permanent housing. Del Olmo has an accusation of domestic abuse on record, though no conviction. He then allegedly locked the door, dropped his shorts and began masturbating in front of her, demanding that she touch him and “taste it”. He ignored her pleas to stop, shoved his tongue into her mouth and eventually ejaculated into a trashcan, according to the lawsuit. He then let her leave the room, saying, “Don’t forget to leave me a positive review on Airbnb”, the complaint said. Del Olmo is claiming that the alleged assault was consensual, but also said, “This woman just fully lied and made everything up.” Lapayowker’s attorney did not believe there was enough evidence to prosecute Del Olmo in a criminal case, and no charges against him have been filed. He has been removed from the Airbnb host list, but he says that’s unfair. In the domestic violence case against Del Olmo, lodged in Florida, he was accused of pulling a woman’s hair and dragging her during an argument. Del Olmo wasn’t prosecuted, but that was because he entered a diversion program; he also accused the woman in that case of lying. Airbnb does run background checks on hosts, but as Del Olmo had no conviction, he never came up in their search.